Silverdale, off Fleet Street, is a stone’s throw from Aylesbury town centre. 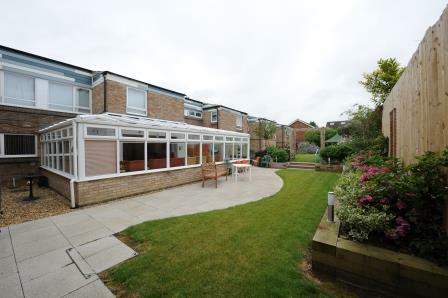 Communal conservatory and landscaped gardens. Following a £1.5 million regeneration at the scheme, the communal facilities are second to none, with a conservatory and kitchen, hobby room with internet access and landscaped gardens. The scheme has a vibrant social calendar making full use of the facilities. Flats are arranged in four blocks: Essex, Wharton and Westbury Houses are for supported housing, and newly-built Willow House. Willow House offers 11 extra care unites enabling residents with learning difficulties to live independentlywhilst enjoying a higher level of care.